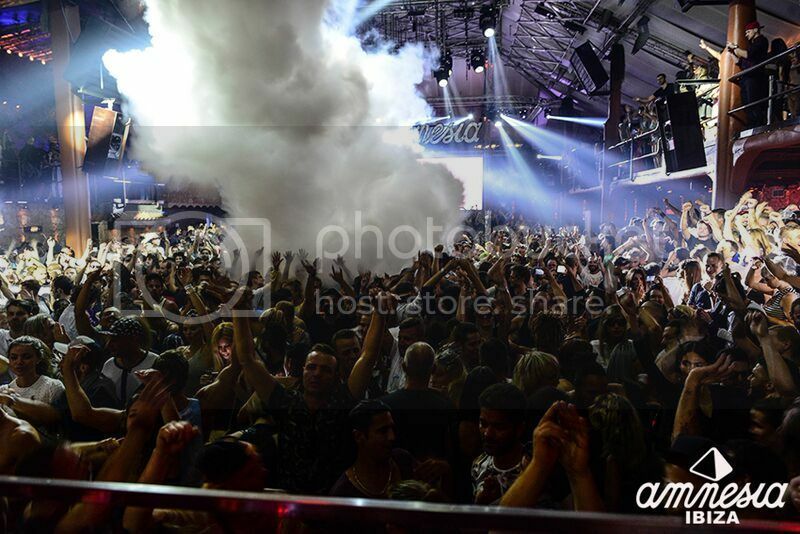 It’s one of the most beloved parties of the year - one fans of the famed Ibiza club look forward to for months, anticipating the bang that signals the start of another huge season at Amnesia. Upon entering the cavernous Terrace, we were immediately flooded with memories from seasons past - there really isn’t much else like that fabled room. Resident Mar T was slowly turning the energy up, sliding into raw, tech driven territory with tracks like Andre Hommen’s huge Objectivity anthem ‘Battery Park’, it’s massive, dark synth lines bellowing out across the giant Terrace as the ice cannons showered revellers in a sea of smoke. 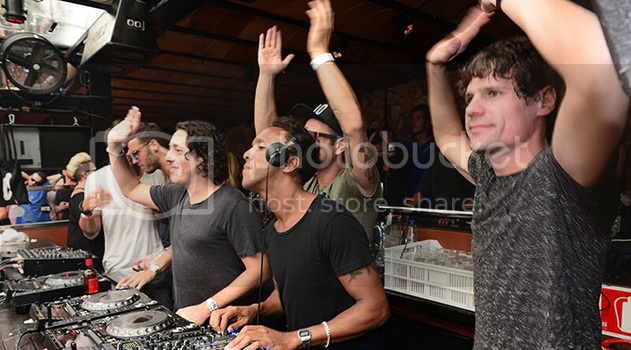 Over in the Main Room, we wanted to get a small taste of the action before Apollonia kicked off. Making our way over was surprisingly easy, as unlike in years past, the crowd was very manageable, making it a breeze to check things out in either room or go take a break outside, and of course lending to plenty of dancing space. Mexico’s Betoko was doing the massive Main Room sound system justice with plenty of bass heavy, synth-driven techno before pulling it down with the emotive ‘Apogée’ from Franz Wieland. Not wanting to miss a second of Shonky, Dan Ghenacia and Dyed Soundorom - coming together as Apollonia - after their huge first appearance on the Terrace last year, we popped back over. The sun was out, the room was glowing, and the trio commenced what will go down as one of the best house sets the club has ever seen. They set the tempo perfectly, keeping the energy fun, laid back and groovy with tunes like ‘Rainforest’ by Mobius Strum & Dorian Chavez at the 7:30am mark, over to the acid heavy ‘Overcomplete’ by Gunnar Haslam - a guaranteed winner that went down perfectly. Always a group to know exactly when to drop a classic, around 9am, the trio kept the funk moving strong with Cajmere’s ’94 Mix of ‘Re Ah Do Da Da Da’ with several in the crowd singing along. The high point came at around 10am, as a man up in the VIP section began popping and locking in mezmarising fashion, the entire club cheering him on, even getting smiles from Dan and the guys working the dials below - it’s scenes like this that make the opening parties truly special. By early afternoon, it was time for Maceo Plex to step up to the plate - it seemed like the day couldn’t get any better. However, the wonderfully friendly and sunny atmosphere the trio had worked up wasn’t to last. Maceo immediately took things dark and tech driven, drawing things out with moody techno before heading into big, bass driven territory. To his credit, Maceo dropped several vocal numbers, lightening the mood between his signature dark smashers, even throwing in a tripped out remix of last year’s hit, ‘Crossfade’. As we approached and passed mid day, coaxed on by the massive bass rumbling out of Amnesia’s incredible sound system, we eventually called it quits, knowing that Space’s opening fiesta was just hours away. Few clubbing experiences come close to the Ibiza’s opening parties, and Amnesia’s opening fiesta reminded us once again exactly why there’s no where on earth like it.